In a Mixed-age Music Together® class at Enchanted Music Together, you will find children, parents, grandparents and caretakers singing, dancing, and playing instruments together. Laughter, cooing and a blend of diverse voices will be heard. You will see smiles and looks of amazement, curiosity, and joy on the faces of parents and children. 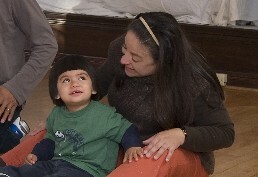 Some children sit in the laps of their parents or caregivers, others independently explore the room as they interact with the instruments, their own movement and their peers in relation to the music. Some children are spontaneous singers and movers, while others are careful and astute observers. Even when your child gives no response or seems uninterested in listening or participating, important subconscious learning is taking place, while you model how to make joyful music. Some classes begin with with the opportunity to “wake up” a guitar or ukulele before the "Hello Song," in which each child is greeted individually. 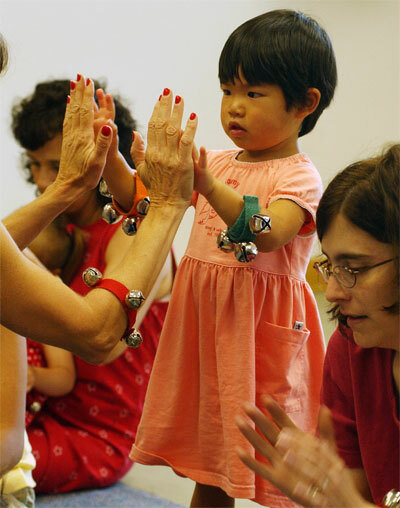 This is another way Enchanted Music Together gives children a hands-on experience. The music continues with selections from one of the nine Music Together collections (a new collection each session), which include well-known traditional songs and nursery rhymes, music from as far away as Africa and South America, and fun chants that allow children to focus on rhythm and tonalities. Simple instruments and props such as sticks, shakers, drums and scarves may be used and explored in a playful non-performance environment that allows creativity to flourish. 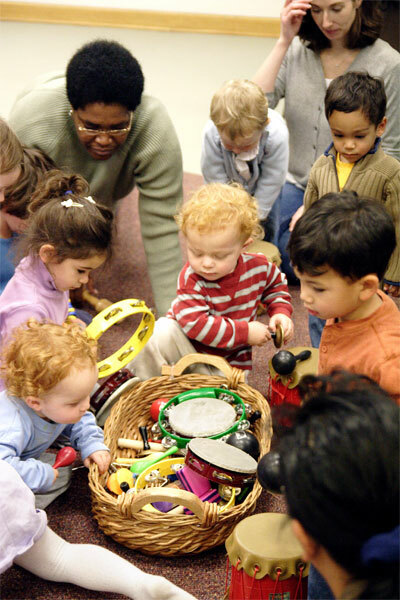 Most children eagerly anticipate the instrument-play period—the "jam session"—near the end of each class. Then comes a lullaby, a time for parents or caregivers and children to reconnect. At the end of class, each child is acknowledged once again in the "Goodbye Song”. We offer Music Together Mixed-age classes (birth to 5), Babies classes (6 months and younger), Big Kids classes (designed for children age 5 to 7, we find that eight and even nine year olds love and benefit from participation in the program). At the beginning of each session, in addition to receiving an color, illustrated songbook and two CDs, enrolled families will receive a code to access Music Together's Family Music Zone. There, you'll be able to download the songs from the current song collection, in addition to exploring fun content created just for you. To access the Family Music Zone, parents will create an account at www.musictogether.com/ using the code found on the inside back cover of the CD booklet. • Play the recording often -at home or in the car or during meal time, bath time, going to bed or nap time, play time etc..